The name Audiobook was established by Audio Publishers Association as the normal word usage. According to Wikipedia, it was designed by the government as the program to those who are blind. 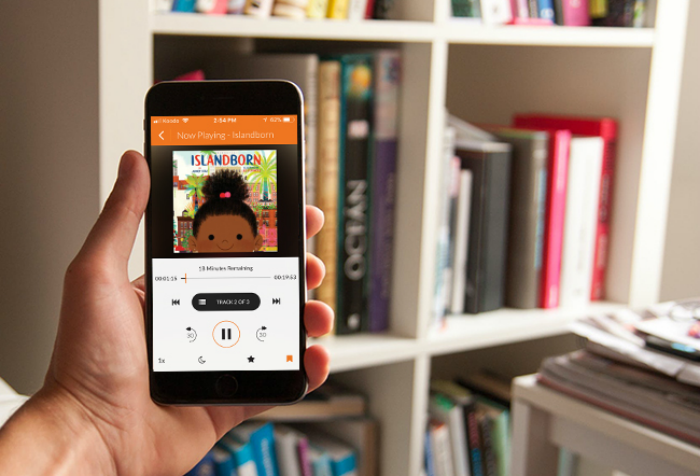 Today, audiobooks are convenient to listen to everyone, even kids. It evokes their interest to listen especially if they can't find a book to read. One lucky entrant selected by the entry form will receive a FREE one-year subscription to Audiobooks.com! (ARV $180) Open for entry from April 13, 2018, to April 30, 2018, at 11:59 p.m. EST. The winner will have 24 hours to respond to the notification email or a new winner will be selected. The Mommy Island and participating bloggers are not responsible for prize fulfillment. If you're a blogger wanting to join more events like this one join Blogger Talk. If you're a brand looking for a promotion like this one email themommyisland@gmail.com. Don't forget to come back daily for bonus entries. Good Luck! 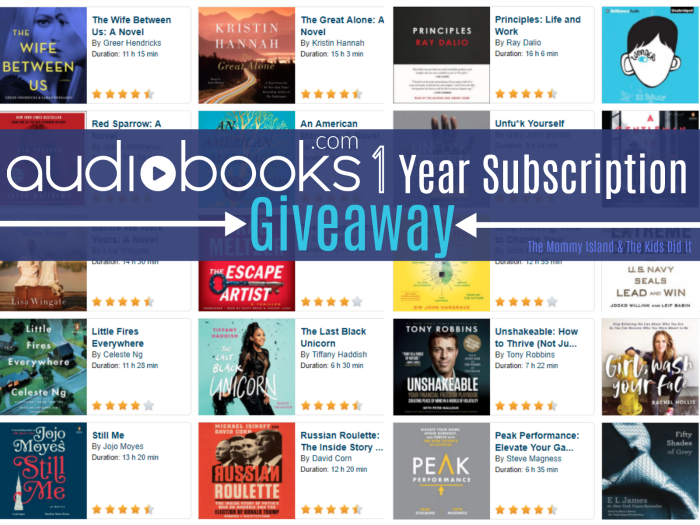 Wow, audiobooks rock! This could be an amazing prize to be had. Thanks for sharing!